Home » Credit Card Reviews » Which American Airlines Credit Card Is Best for You? If you’re a ride-or-die American Airlines flyer, it may be because you can reach nearly 350 destinations in more than 50 countries on the airline. Or maybe it’s because you’ve managed to earn elite status on the airline’s AAdvantage loyalty program, which comes with its own benefits. But whatever the reason, you want to do everything you can to maximize your loyalty to American Airlines, and getting one of its branded credit cards is a great way to do that. The Fort Worth, Texas-based carrier has partnered with both Barclays and Citi for cards that give you the best options for earning miles, along with some sweet perks. If you’re not sure which card is best for your needs, we’ve got you covered. Keep reading for a full review of the top five American Airlines cards, along with a complete list. Best for: Loyal American Airlines AAdvantage® who travel pretty regularly on the airline and either already have or want to earn elite status. You can cover the $450 annual fee either by taking advantage of the free access to the Admirals Club lounge or by taking advantage of your free checked bag on nine round-trip flights. This is American Airlines’ top credit card, designed to attract its best customers who expect perks that help ease their travel. If you take advantage of all the perks, the card, despite its $450 annual fee, more than pays for itself every year. Let’s look at the math. Membership to the Admirals Club lounge would cost, depending on your American Air status, up to $550 a year for an individual or $925 for a household. Individual members can bring up to two guests or members of their immediate family. You’re already $100 ahead on the $450 annual fee if you take advantage of the card’s free membership. If you check a bag ($25) round-trip every time you fly domestically on American Airlines, the annual fee will be covered after just nine flights. If you do the same with the limit of eight travel companions, the fee will be covered after only one flight. Good sign-up bonus. Earn 50,000 American Airlines AAdvantage® bonus miles after spending $5,000 in purchases within the first 3 months of account opening*. You can take a trip to Hawaii under the MileSAAver category with these bonus points as of this writing. Free lounge access. The card comes with a free Admirals Club membership, which more than covers the $450 annual fee that comes with this card. Priority airline perks. Even if you don’t have elite status on American Airlines, the Citi® / AAdvantage® Executive World Elite™ Mastercard® comes with a free checked bag, along with priority check-in, screening and boarding for you and up to eight travel companions on the same reservation. Help earning elite status. Once you do achieve elite status on American, this card helps you keep it by allowing you to earn 10,000 AAdvantage Elite Qualifying Miles (EQMs) after spending $40,000 within a year. Get more for your miles. You get access to two programs that help you stretch them even further. First, under the Reduced Mileage Awards program, you receive discounted round-trip or one-way travel on MileSAAver® awards to destinations selected every other month. Second, under the MileSAAver® discount program, you get a discount of 7,500 American Airlines AAdvantage® miles round-trip (or 3,750 one-way) if travel booked is more than 500 miles in distance. For travel booked less than or equal to 500 miles, the mileage discount is 2,000 miles round-trip (1,000 one-way). Use your miles to pay for things like seat upgrades, car rentals, hotel stays, vacations, an Admirals Club membership, gift cards, magazine or newspaper subscriptions or donate them. Add cardmembers to your account. Share the love — and earn the points — by adding up to 10 authorized users on your card for free. They’ll also get access to the Admirals Club, even when they’re not traveling with you. There’s no maximum on the miles you can earn on the card. Cover your fees and get a discount. Get a statement credit, up to $100 every five years, to reimburse you for your application fee for the Global Entry or TSA Precheck programs. 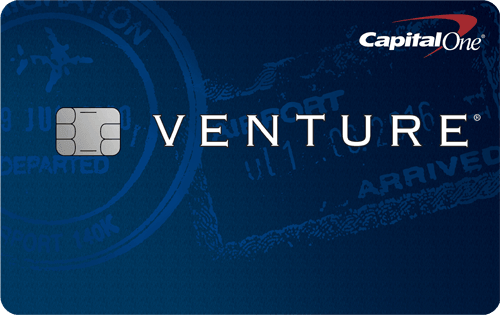 Cardmembers receive a 25% discount on in-flight purchases of food and beverages when they use the card. High annual fee. The card comes with a $450 annual fee, which may be a stretch for some. But you can make this work for you if you take advantage of the free Admirals Club membership — starting at $550 per year, it more than covers the card’s annual fee. You also get your money’s worth every time you and up to eight traveling companions fly and check a bag. Fewer points per $1 spent on top categories. The card — where members Earn 2 AAdvantage® miles for every $1 spent on eligible American Airlines purchases & 1 AAdvantage® for every $1 spent on other purchases* — is lower than other airline- and non-airline branded credit cards. Guests have limited lounge access. Guests and immediate family members can only use the Admirals Club lounge with a member. No Wi-Fi discount. The 25% in-flight discount can’t be used for Wi-Fi access. No travel/purchase perks. While the card comes with a dedicated concierge to help with foreign and domestic travel, shopping, dining, household, and entertainment needs, there isn’t access to other travel and purchase protections like trip delay/trip interruption insurance, lost/delayed baggage insurance, roadside assistance and purchase protections that come standard with higher-fee credit cards. Limits on some miles usage. If you take advantage of the Reduced Mileage Awards program, you can only book your travel by phone through American Airlines reservations or at airport or city ticket centers. If you’re not an American Airlines AAdvantage® Executive Platinum member or American Airlines AirPass customers, you’ll pay a $35 award service charge per person for that privilege. Your miles will expire if you don’t earn or redeem them once every 18 months. (23) Over the Past 60 Days! Best for: If you’re a frequent flyer on American Airlines and use a business credit card for your spending, this one is a good option. It comes with enough perks to make it worth consideration, plus it comes with tools that let you add employees, monitor spending on all their cards and keep the miles they earn. The card’s annual fee is $99, waived for first 12 months*, but once you’ve checked a bag on two round-trip domestic flights, that yearly fee is covered. Good sign-up bonus. Limited Time Offer – For a limited time: Earn 70,000 American Airlines AAdvantage® bonus miles after making $4,000 in purchases in first 4 months of account opening* — is enough to book a one-way business class ticket to Hong Kong or Mumbai. Airline-related perks. Get a free checked bag and priority boarding for you and up to four others on your reservation with the card. Companion certificate. A big benefit that comes with the CitiBusiness®/ AAdvantage® Platinum Select® World Mastercard® is the chance to earn an American Airlines companion certificate. Every year if you spend at least $30,000 on the card and renew your membership, you’ll receive a domestic economy fare companion certificate. Free cards for employees. 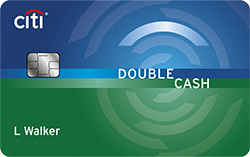 The card allows you to add employee cards for free, earn miles from those cards and set a credit limit for each employee. You also get access to a Personal Business Assistant for help with things like travel, dining, shopping and entertainment and keep track of monthly billing statements and account summaries online. Travel and purchase benefits. Perks that come with this card include travel accident insurance, car rental insurance, travel and emergency assistance, purchase assurance and extended warranty. Points per $1 spent. Unless you’re doing most of your spending on American Airlines, there are cards out there that offer more points for spending on non-airline travel, dining, gas and groceries. No elite status miles. This card doesn’t have a way to earn bonus AAdvantage EQMs to maintain your status on American Airlines. No airport lounge access. Don’t try and go into the Admirals Club if you have this card, because it doesn’t come with access. That “free” companion certificate isn’t really free. You must pay a $99 fee, plus $21.60 to $43.20 in government taxes and fees, when redeeming your yearly companion certificate — plus, it’s only good for travel in the 48 contiguous U.S. states. Limited travel protections. Considering this is an airline-branded credit card, you’d think it would have more protections aside from its accident insurance and emergency assistance, but it doesn’t. (71) Over the Past 60 Days! Best for: This card is a good option if you still want some perks on American Airlines but aren’t quite ready to commit to a card with a higher annual fee. The card comes with an annual fee of $99, waived for first 12 months*; however, it does get covered once you fly two round-trip flights and check a free bag. It’s also covered if you earn a $100 flight credit on American Airlines for spending $20,000 in a card during a year and also renew it. The card comes with higher points per $1 spent in popular categories outside of travel on American Airlines, and also offers some travel perks, along with travel and purchase protections. Good sign-up bonus. Most credit cards work hard to lure you in with a good sign-up bonus. 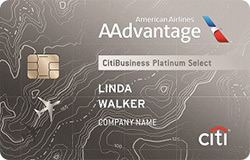 The Citi® / AAdvantage® Platinum Select® World Elite™ Mastercard® allows new cardmembers to Earn 50,000 American Airlines AAdvantage® bonus miles after $2,500 in purchases within the first 3 months of account opening*. That’s enough to get you to Europe on a round-trip MileSAAver award ticket as of this writing. Better points per $1 spent. Cardmembers Earn 2 AAdvantage® miles for every $1 spent at gas stations, restaurants, and on eligible American Airlines purchases*. The categories that earn higher points per $1 spent cover not just American Airlines spending, but the popular dining and gas categories too. Free checked bag. You and up to four companions traveling with you on the same reservation receive this benefit on domestic American Airlines flights. Stretch your miles. You get access to American Air’s Reduced Mileage Awards and MileSAAver® awards programs. The Reduced Mileage Awards allows users to choose an available destination based on their mileage discount. Under the MileSAAver® discount program, you get a discount of 7,500 American Airlines AAdvantage® miles round-trip, or 3,750 one-way, if travel booked is more than 500 miles in distance. For travel booked at 500 miles or less, the mileage discount is 2,000 miles round-trip, or 1,000 one-way. Two discounts. Receive a $100 American Airlines flight discount after spending at least $20,000 during your card year and you renew your card. And you save 25% on inflight food and beverage purchases on American Airlines flights when you use your card to pay for them. Points per $1 spent. Despite the chance to Earn 2 AAdvantage® miles for every $1 spent at gas stations, restaurants, and on eligible American Airlines purchases*, there are cards that offer more for travel, dining, groceries and gas. Limited airline perks. All you get with the Citi® / AAdvantage® Platinum Select® World Elite™ Mastercard® is a free checked bag. There’s no priority check-in, boarding, baggage handling or airport lounge access. No elite status bonus miles. 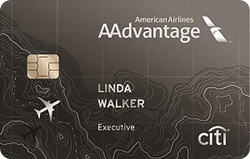 If you’re trying to maintain your elite AAdvantage status, this card doesn’t offer bonus miles to help you. No travel/protection perks. If you want things like rental car insurance, travel insurance, extended warranty and purchase protections, you won’t get them with this card. Best for: This card was named the best overall airline credit card in our July 2018 CompareCards roundup. It targets frequent American Airlines flyers who want a way to earn Elite Qualifying Dollars — awarded based on ticket price — to maintain their elite status, receive priority benefits that make travel easier and get access to some good travel and purchase protection perks — all at a $95 annual fee. Easy-to-achieve sign-up bonus. Unlike most credit cards, you can earn 50,000 bonus miles without having to spend a set amount on the card within 90 days of receiving it. All you have to do is buy one thing — even a small bag of chips — and pay your annual fee of $95, then the bonus is yours. Earning points. Cardmembers Earn 2X AAdvantage® miles on eligible American Airlines purchases and earn 1X AAdvantage® miles on all other purchases..
Elite status. You can earn $3,000 Elite Qualifying Dollars (EQDs) after spending $25,000 on the card every calendar year. The EQD formula is based on ticket price, which includes the base fare and carrier-imposed fees. Airline benefits. The card offers benefits you’ll want as a regular traveler on American Airlines. They include priority boarding and a free checked bag for you and up to four companions traveling on the same reservation, get 10% of your AAdvantage miles back every time you redeem them (up to 10,000 per calendar year) and earn a $100 American Airlines flight discount after spending $30,000 or more on the card during your card membership year and if your account stays open for at least 45 days after your anniversary. You also get a 25% discount on food and beverages on American Airlines-operated flights for you and up to four travel companions on the same reservation. Travel and purchase protections. The card comes with perks like a personalized concierge, auto rental collision damage waiver and trip cancellation and interruption coverage. It also has extended warranty, price protection, purchase security and return protection benefits. Get more for your miles. Use the AAdvantage Reduced Mileage Awards program to receive a discount of up to 7,500 MileSAAver miles to select destinations round-trip. You also get a MileSAAver discount of 7,500 miles round-trip or 3,750 miles one-way for travel booked that is more than 500 miles in distance. For travel booked less than or equal to 500 miles, the discount is 2,000 miles round-trip or 1,000 miles one-way. You also receive 10% of your redeemed miles back when booking reward travel, with a maximum of 10,000 per calendar year. No rewards for EQDs: You can’t redeem them for award travel. Miles per $1 spent. It’s lower for popular categories like dining, groceries and gas. The points per $1 spent on airline purchases are low compared with what’s offered other travel-related cards. No lounge access. This card doesn’t give you access to American Airlines’ Admirals Club airport lounges. The information related to the AAdvantage® Aviator® Red World Elite Mastercard® has been collected by CompareCards and has not been reviewed or provided by the issuer of this card. 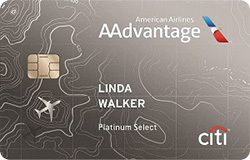 Best for: Citi and American Airlines decided to get rid of the old Citi® / AAdvantage® Bronze card and rebrand it as the new American Airlines AAdvantage MileUp℠ Card. This card targets American Airlines loyalists who are looking for a no-fee credit card that comes with better points per $1 spent for gas and better travel and protection perks. Sign-up bonus. NEW: Earn 10,000 American Airlines AAdvantage® bonus miles and receive a $50 statement credit after making $500 in purchases within the first 3 months of account opening*. Better miles per $1 spent. Earn 2 AAdvantage® miles for each $1 spent at grocery stores, including grocery delivery services*. Earn 2 AAdvantage® miles for every $1 spent on eligible American Airlines purchases*. Earn 1 AAdvantage® mile for every $1 spent on other purchases*. The card has upped the miles per $1 spent at grocery stores. Travel/protection perks. The card comes with car rental insurance, trip cancellation and interruption protection, worldwide travel accident insurance, damage and theft purchase protection, Citi® Price Rewind, extended warranty on purchases and 90-day return protection. In-flight discount. Cardmembers receive a 25% discount on in-flight food and beverage purchases when you use the card. Limited sign-up bonus. Your bonus miles will only enough to get you a one-way flight under 500 miles in the contiguous 48 states or Canada. Point exceptions. While those higher miles per $1 spent at grocery stores are nice, you can’t earn them at general merchandise/discount superstores, wholesale/warehouse clubs and candy/confectionery stores. No airline benefits. You don’t get travel-related perks like airport lounge access, a free checked bag and priority check-in and boarding. It also doesn’t have things like travel or purchase protections. No help with elite status. There’s no way for you to earn bonus miles that help you achieve and maintain elite status on American Airlines. Let’s compare the five cards. Rewards Earn 2 AAdvantage® miles for every $1 spent on eligible American Airlines purchases & 1 AAdvantage® for every $1 spent on other purchases* 2 AAdvantage® miles per $1 spent on purchases at telecommunications merchants, cable and satellite providers, car rental merchants and at gas stations*, Earn 1 AAdvantage® mile per $1 spent on other purchases* Earn 2 AAdvantage® miles for every $1 spent at gas stations, restaurants, and on eligible American Airlines purchases* Earn 2X AAdvantage® miles on eligible American Airlines purchases and earn 1X AAdvantage® miles on all other purchases. Earn 2 AAdvantage® miles for each $1 spent at grocery stores, including grocery delivery services*. Earn 2 AAdvantage® miles for every $1 spent on eligible American Airlines purchases*. Earn 1 AAdvantage® mile for every $1 spent on other purchases*. Thanks to partnerships with Citi and Barclays, American Airlines offers a card for just about every airline customer — from the busy frequent flyer who wants all the perks offered by the Citi® / AAdvantage® Executive World Elite™ Mastercard® right down to a passenger who’s loyal to American, but doesn’t want or need all the bells and whistles with a card, like the American Airlines AAdvantage MileUp℠ Card. The trick of choosing the right card is to decide which benefits are most important to you. Some may want a way to earn elite bonus miles to maintain their status. Others may want more points per $1 spent. Getting priority check-in and boarding or airport lounge access may also be key for some travelers. Once you decide what your priorities are for the card you want, you then must determine whether the fee charged for it is worth it, based on the perks you receive. You may even decide you want a travel-branded card that gives you more points per $1 spent for travel, gas, groceries and dining, more lucrative sign-up bonuses, better perks and more flexibility in redeeming points. For a complete list of all the cards offered by American Airlines, click here.